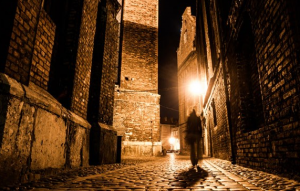 Mystery writers and readers have long been beguiled by Jack the Ripper. 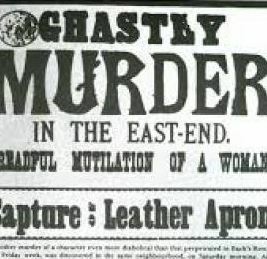 Numerous serial killers have upstaged the Ripper since his murders in 1888. From Peter Kurten, the “Dusseldorf Vampire,” who began murdering in 1913 and killed at least nine before surrendering . . . to Belle Gunness, who slayed more than 40 men by luring them to her farm through lovelorn notices . . . to Jeffrey Dahmer, who killed, dismembered, and cannibalized 17 men from 1978-1991 . . . to H. H. Holmes, one of the first American serial killers, featured in Erik Larson’s terrific book, The Devil in the White City . . . to Albert DeSalvo, who was, in 2013, finally proven by DNA to be the Boston Strangler. Thank you, forensic science! Still today Jack the Ripper holds us captivated and if one asks us to name infamous serial killers, his name will often be at the top of the list. When I started researching Jack I told myself the reason was timing. The characters in an earlier book would land nicely in the Victorian era some twenty years later. But that was only one reason for my interest in Jack. In truth, there were several motivations for pursuing him as an interesting subject. First, the ambience of the time and place in which he killed. There’s nothing like a foggy, damp, dreary night in Whitechapel, London, to set the stage for murder. Second, his Modus Operandi. He did not just kill his victims, all prostitutes apparently. He butchered them with ritualistic precision, leaving body parts exposed to the night. Third, Jack did his work so quickly and efficiently, no one chanced upon him during his grisly task, nor bump into him following the murders. No witnesses. Fourth, if the letters that the police received were authentic, Jack taunted them with his deeds. He made a mockery of their ineptitude, which gave the press a field day. Fifth, Jack the Ripper was never caught. There were a number of suspects, including the grandson of Queen Victoria. My other personal fascination with Jack and the time period centered around Sherlock Holmes, and his creator, Sir Arthur Conan Doyle. I always wondered why Sherlock never solved the case. Hence, I did solve the case, with the help of Conan Doyle, and, jumping forward 120 years, the assistance of modern DNA technology, which zeroes in on Jack’s true identity. Add a little imagination. I mean, really, could there have been evidence remaining from one of the Ripper murders? In Time Lapse, I resolve those questions. Are my solutions believable? Read it and let me know. The Jack mystery has always fascinated me for that reason–it’s a mystery. Of course I just purchased TIME LAPSE and am looking forward to reading it! Thanks so much, Diana. I’m interested in your books. Which would you suggest I read first?